If you are higher up in the work chain you will most likely find that you are the person who seems to be busier and more stressed than anyone else. But that shouldn’t be the case, just over a third of your life will be spent in work so you need to make sure it is as stress free as possible with these 7 tips. If you fancy treating your team to a day out of the office then why not check out what activities we have on offer here. Sometimes it can become more difficult to complete a working day if the hours are always long. The shorter your day is the better your mood and motivation will be which will lead to a better approach to work. if you cannot shorten your hours then perhaps change them where you start earlier and finish earlier some days or start later and finish later. It is getting a lot more common for people to prefer working from home. Sometimes your work will allow you to do your current job by telecommuting or sometimes you have to find a new career that won’t require you to work at the office. Sometimes being stressed is due to not being that great at getting tasks done. If you become more focused the better, you will be at completing a task and then the less stressed you will be with your work. 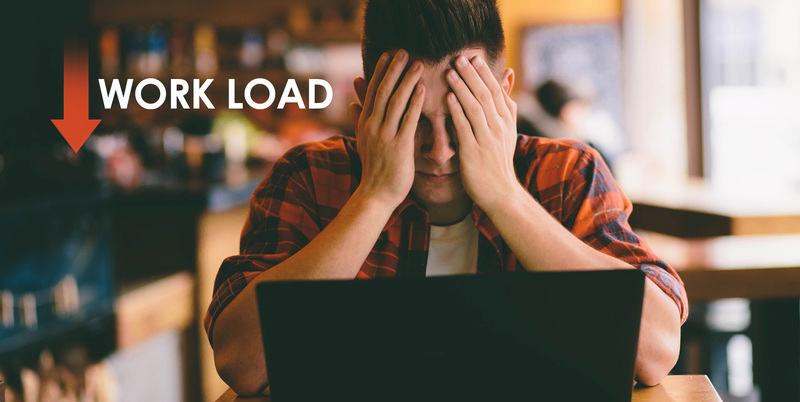 The reason you are stressed could be because you aren’t giving your brain enough time to rest, even if it isn’t a physical break just giving yourself a break away from a particular job is always a great idea. If each day you give yourself different aims that you want to achieve for the day you will find yourself a lot more motivated. Even if you have a few deadlines, if your day to day lists aren’t too big you will feel like you have achieved more. By sorting through your inbox or letter pile you will have a clearer and tidier mind. And having that will lead to less stress and help reduce the amount of work you have to do. Regular meetings will always give your team an insight on what is going on and will give them the chance to understand how much work that needs to be done which could boost their motivation and help reduce your workload.